Keelmans Way School are part of a new innovative project in which schools in South Tyneside are participating. The project, called Operation Encompass, is being run in partnership with both South Tyneside Council and Northumbria Police. The project, which commenced in January 2016, aims to support children who are affected by Domestic Abuse. Witnessing domestic abuse is really distressing for a young person, who can often see the abuse, hear it from another room, see a parents injuries or distress afterwards or be physically hurt trying to stop the abuse. As a result, following any domestic abuse incident being reported into Northumbria Police, specialist Police Officers will make contact with Childrens Social Care who will then communicate relevant and necessary information to nominated school staff. This will ensure that the school is made aware at the earliest possible opportunity and can subsequently provide support to children, in a way that means they feel safe and listened to. Mrs P Selby and Mrs V Scott are the key adults who has been fully trained to liaise with the Police and Social Services, when required, and will ensure that necessary support is made available to the child following the disclosure of a domestic abuse incident. 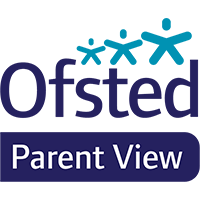 We believe that this project demonstrates our schools commitment to working in partnership, to safeguard and protect children, and to providing the best possible care and support for our pupils.